At Ann Demeulemeester's Fall '18 show in Paris, Sébastien Meunier sent out his first 20 models wearing head-to-toe black. 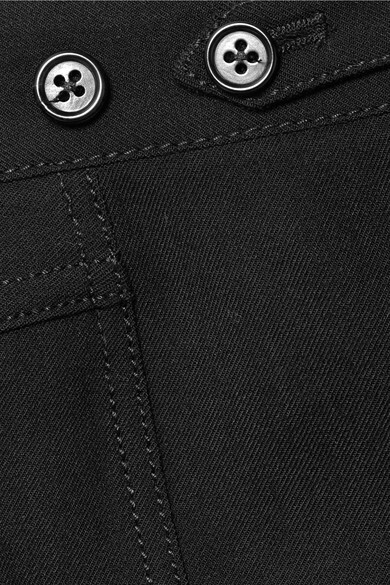 Made from fleecey wool-blend that's soft and slightly stretchy, these pants are detailed with buttoned tabs at the high-rise waist. 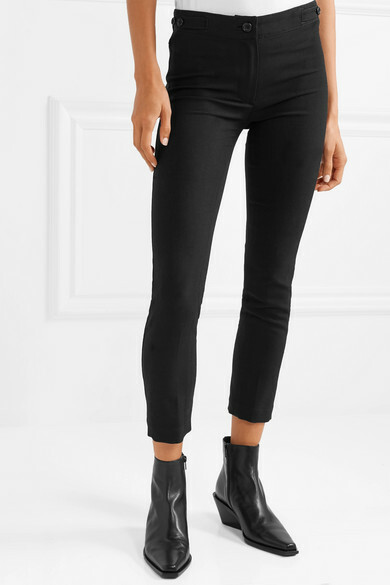 The cropped slim-leg cut works especially well with combat or cowboy boots. 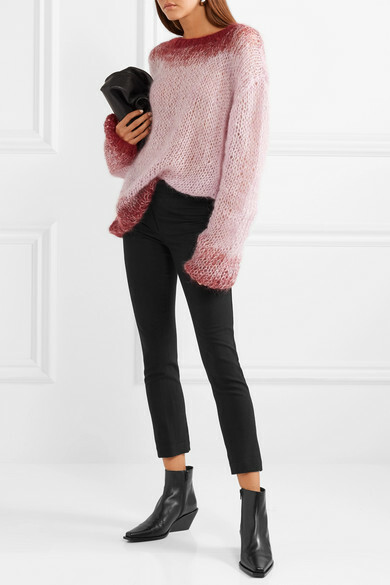 Shown here with: Ann Demeulemeester Sweater, Akris Shoulder bag, Ann Demeulemeester Ankle boots, Jennifer Fisher Earrings.